It is a common saying that one can only forcefully take a horse to a river, but can hardly make it drink against its will. This saying, despite its widespread usage and believability, has however become deconstructed in different real life cases. I have grown to realise that the horse could be pushed, wholly, into the river and thus made to become helpless. By consequence, the horse would have to drink the water, even more than it would have steadily drunk supposing it had initially been cooperative. A similitude of the above illustration is the most recent issue currently playing out in University of Ibadan. This recent development is one that observably seems not to have fallen in most, if not all, of the students’ receptive shoulders. A number of students have shrugged off this issue but have only done so through muttering and exchanging opinions with their fellow students and sympathisers alike. 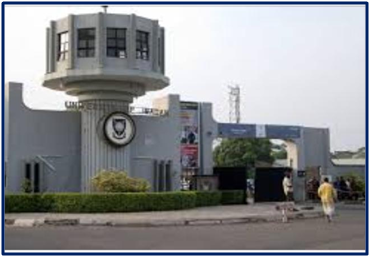 In clear terms, the information making the rounds about the second semester resumption date, which is actually clashing with some exams scheduled to hold in that same week, is the bone of contention in this discourse. It is as clear as daylight that the set date for resumption would be quite unfavourable for many a student, me inclusive. It cannot be more confoundingly amusing that the same day I, as a case study, will write my final exam for the first semester marks the date of resumption for the second semester— Monday, 3rd September, 2018. And, this, I find non-positive for my state of mind, since I am ultimately forced to have a shared thought focus— on both of the staring first semester final paper and the knocking, second semester resumption— which only leads to sheer discomfort to the psyche. Of course, this feeling seems to be common to some other students. Now, considering the gathered responses above, one can, to a considerable extent, conclude that a number of students really do wish they could catch some rest before resumption. For record’s sake, whether anyone said that the decision on the resumption date is good or bad is not the subject of focus here. The fact that most of the respondents have pointed out the usual stressful and rigorous activities that characterise examination periods is much noteworthy. The need for adequate rest especially upon the end of an exam period is one that is quite unnegotiable. Moreover, it would be better to have, at least, a week break after the examination activities which are going to fully end in the first week of September. By that, the exams slated to be written in that same first week of September would become absolved of the inter-semester clash or collision. Thereby, everybody and particularly the ones who are going to conclude their exams between September 1st and 7th would rest assured that they could enjoy a few days of a sense of relief from the almost enervating pangs of examination. On this basis, therefore, does this article seek to appeal to the management to consider and ensure that, at least, a week be given as the first semester break. It is true that certain industrial actions and public holidays have negatively affected the sorely needed smooth flow of the academic calendar. It is however still of great importance that the students, amongst which I belong, enjoy adequate mental and physical rest, in preparation for a new semester. DEMOCRACY DAY ON JUNE 12: AN ACT OF DESPERATION?